You can’t have a strong, durable building without a supportive foundation, just as you can’t have beautiful and healthy teeth without the support of healthy gum tissue. The gums frame the teeth and enhance the beauty of the smile, while also providing the strength and support that allows the teeth to be fully functional. When the health of the gums suffer, the health and strength of the teeth is likely to follow. 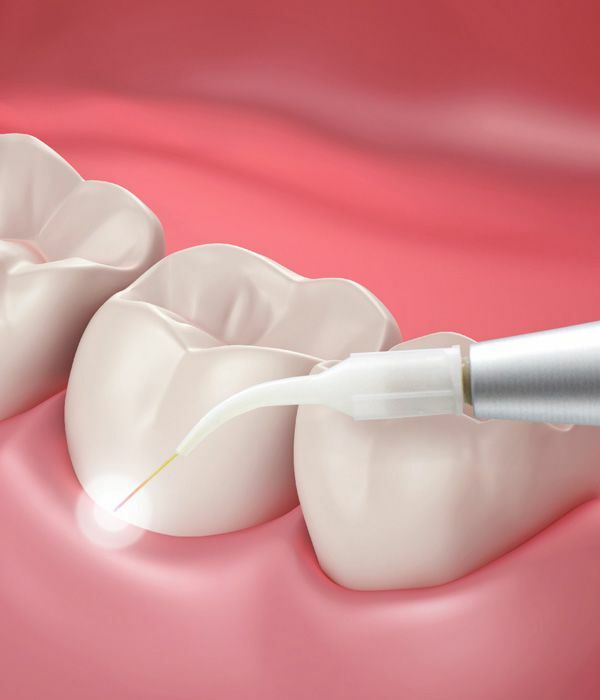 Restorative dentistry treatments repair damage to the teeth and gums to restore a patient’s overall oral health. Dr. Kenneth W. Coffey is happy to provide patients with restorative dentistry services at his dental practice. However, he also understands the importance of teaching patients about the common causes of poor gum health so that his Orland Park, IL patients can learn to properly care for the smile and prevent the deterioration of gum health to begin with. Here, patients can learn more about the most common causes of poor gum health. Poor oral hygiene habits: The gums need to be cleaned and cared for regularly, just like the teeth. When gum health suffers, the most likely cause is neglect of oral hygiene habits. Bacteria are attracted to the sugars, acids, and starches that are in foods and beverages. Without regular brushing and flossing, bacteria will continue to build up on the teeth and gums, eventually forming a hard layer of plaque and tartar. To avoid this buildup, it is vital that patients brush at least twice a day, floss nightly, and schedule dental exams and cleanings at least twice a year. Improper oral hygiene habits: Some patients are surprised to learn that their gum health has become compromised because they do brush and floss regularly. However, it is not just consistency that is key when it comes to gum health, but also quality. It is important to use proper oral hygiene techniques. Dr. Coffey is happy to provide patients with instructions on effective oral hygiene habits to ensure they are getting the most out of their oral hygiene routine. Risk factors: While not necessarily a cause on their own, there are several risk factors that can make a patient more vulnerable to poor gum health. Some well-known gum disease risk factors include family history of gum disease, the use of certain medications, heart disease, hormone changes, uncontrolled diabetes, and smoking. Patients with these risk factors must be especially vigilant about practicing good, proper oral hygiene habits, and seeing the dentist regularly. It is important to practice oral habits that will preserve gum health, but if the gums have been compromised, there are dental treatments available to improve the health of the gums and teeth. Dr. Coffey offers dental services that will remove built up plaque and tartar and eliminate harmful bacteria from the teeth and gums. Services such as routine dental cleanings, root scaling and planing, and restorative dental treatments including fillings and dental crowns can address oral health problems and improve gum health. If you are concerned about the health of your gums, we encourage you to contact us at your earliest convenience to set up a dental examination. Dr. Kenneth W. Coffey is happy to examine the teeth and gums and create a customized treatment plan that will restore the health and beauty of your smile.